Mrs. Nida Jain and her children lives in Ilog town, 110 kilometers away from Bacolod City, the capital of Negros Ocidental province. The place is a two and a half hour trip to Bacolod when taking the commercial bus. 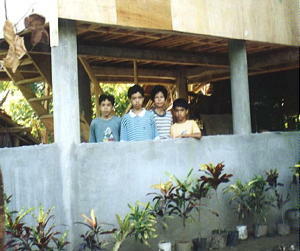 The house which was built through the help of LifeNets and donations from others, was completely damaged by a strong typhoon named Nanang that hit Negros Occidental on November 5, 2001. 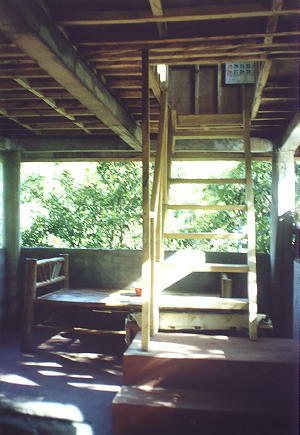 The typhoon caused a severe flood that half of the house was carroed by a strong current where many of the personal belongings were lost. Mrs. Nida Jain and her children is now secured in their new house and thanks to all who have helped her for this need. 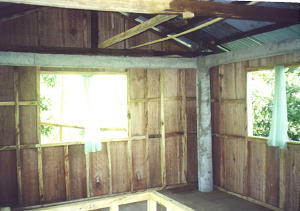 To round off the total cost of the construction of the house is P80,000.00 or $1,600.00. 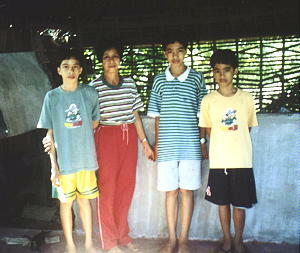 We will be sending more pictures of Nida's house as soon as possible. In behalf of Nida and her children, we express our thanks to LifeNets through you and others who helped her in the construction of the house. Widow Nida Jain's home was badly damaged by a typhoon that came through the Philippines. 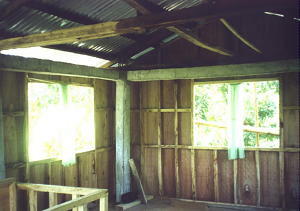 LifeNets donated $700 towards the work being done, which was a big percentage of the entire project. 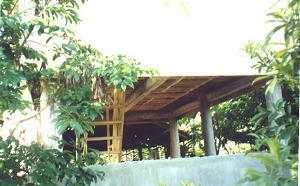 The house is near completion at this time. Nida is very happy for the help that you have extended to her. She is sending her heartfelt thanks to your generosity and concern.